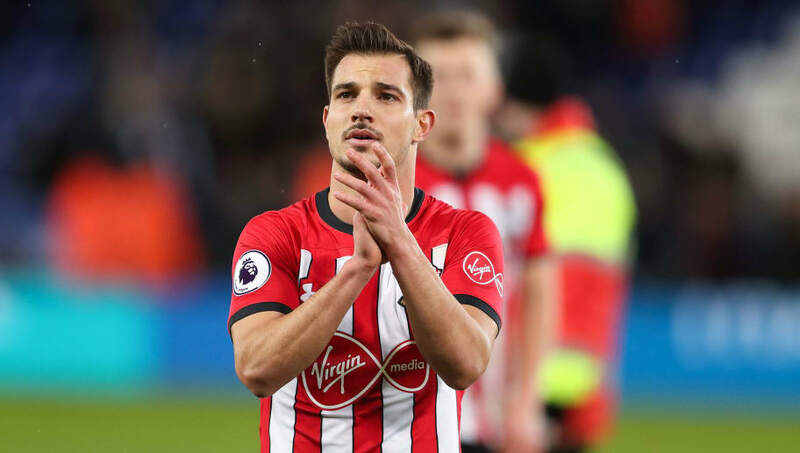 ​Southampton manager Ralph Hasenhuttl looks set to make some major changes to his squad ahead of the closure of the transfer window next week, as right back Cedric Soares is thought to be in 'advanced talks' with Inter ahead of a January move. Previously first choice since signing from Sporting CP in 2015, Ralph Hasenhuttl's arrival coincided with a spell on the sidelines with injury, and since recovering, Cedric appears to have lost the battle for first-team football to 19-year-old Yan Valery. With links emerging to KRC Genk defender Joakim Maehle, speculation about his exit has been rife for weeks, and ​Sky Sports report on Thursday that he is close to a move to ​Inter. He is reported to be in 'advanced talks' with the Italian club, and could offer further competition to the likes of Sime Vrsaljko and Danilo D'Ambrosio as the Nerazzuri attempt to claw back the seven point gap that has opened between them and second-placed Napoli in the ​Serie A standings. Having made 104 Premier League appearances for Southampton, the 27-year-old's pending departure comes after Hasenhuttl made no bones about his desire to trim his playing squad in an effort to stave off relegation. "If the squad is too big, I cannot give every player the feeling that he is important for me. That is what I want to do," the manager told ​Sky. His strategy has so far been successful, as the departures of the likes of Manolo Gabbiadini and Steven Davis have coincided with Southampton putting three points between themselves and the Premier League relegation places.